They are the largest websites on the internet with the exact same name. It’s no surprise that WordPress.org and WordPress.com caused a lot of confusions among new users. What are they really? Short answer: WordPress.org is the open source WordPress platform or CMS, and WordPress.com is a free hosted version of WordPress (with upgrades). Download a checklist to build any WordPress site (in less than 15 minutes). Here’s a link where you can download the checklist. and of course how you can make the most out of them. What is Self Hosted WordPress.org? In 2003, WordPress.org became the home of the ever-so-popular WordPress platform, CMS. Started off as a simple open source software to enhance typography by Matt Mullenweg and Mike Little, WordPress became the work of hundreds of individuals all around the world. Today, WordPress powers 25% of the internet – including huge brands like Honda, the NFL, Ford, Harvard Law School, NASA and BBC Top Gear. You can always download a free copy of this powerful CMS at WordPress.org. You are free to use it for anything from your recipe website to a Fortune 500 website without paying anyone a license fee and a number of other important freedoms. While the WordPress CMS is free, you need to rent a web hosting service to make your website available on the internet. A good web host for regular websites are pretty affordable at $5/ month – more on this later. Two years after WordPress.org, co-founder Matt Mullenweg noticed a lot of WordPress users just want to blog without having to worry about hosting or maintaining their website – and created WordPress.com. To bring the WordPress experience to an even larger audience, in 2005 we created WordPress.com. WordPress.com is a hosted version of the open source WordPress CMS that allows you to “start a blog or build a website in seconds without any technical knowledge”. While boasting limited features and custom design, WordPress.com is renowned for its stability and high maintenance. The New York Times, NBC Sports, CNN and TechCrunch are a few of their VIP clients. To keep WordPress.com free, they offer several upgrades to remove ads on free websites, use a custom domain name, add storage space and more. WordPress.org and WordPress.com require investements in different areas. While WordPress.com offers free hosting with two upgrade plans, WordPress.org requires a web host and domain name. Aside from having no custom domain name and advertising on all free websites, a 3GB storage is relatively small. If you are even slightly serious about your site, you need to consider one of their upgrades. 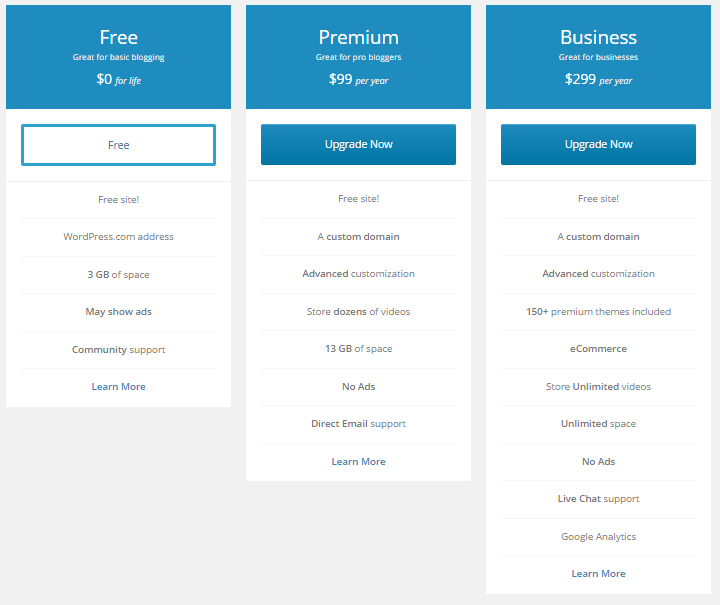 WordPress.com has a Premium and Business plan. Premium, the most popular plan starts at $99/ year and gives you all the basic features such as no advertising, custom design (font and CSS) and a free domain name. With 13GB storage, you have enough space for a medium-size blog. 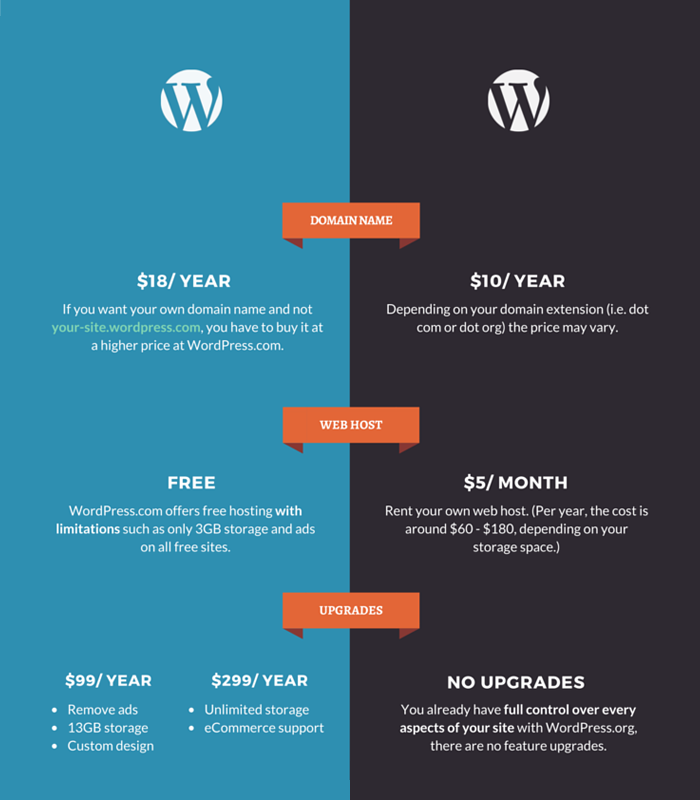 But above that, WordPress.com costs up to $299/ year compared to only $180/ year if you self host. While it’s free at first, once you scale WordPress.org is slightly more economic. It’s also important to note that while you can have your website at your-site.wordpress.com for as long as you want, upgrading to your-site.com in the future is going to hurt your search engine rankings. If you are looking to build a solid online brand, you’re best to at least start with your own domain name. WordPress.org only offers the free WordPress CMS. Meaning you need to rent an external web host and a domain name to make your website available on the internet. Think of a domain name as your home address – it’s a must (i.e. Bloggingthing’s domain name is bloggingthing.com). Fortunately, most web hosts worth using give away domain names for at least a year. Or you can register a domain name for ~ $10/ year at NameCheap or GoDaddy. While GoDaddy is the world’s biggest domain registrar, I use and recommend NameCheap – it’s more simple and has no extra fees. Shared web hosts are ideal for regular websites for their flexibility and tiny price of ~ $5/ month for 50GB. 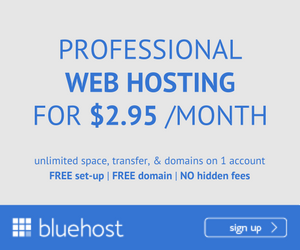 Recommended by WordPress and many movers and shakers in the industry, BlueHost is known for their quality service and great hosting experience. Price starts at $4.95/ month. Aside from being reputed for their reliability, InMotion hosting offers up to $250 advertising credits on major services like Google Adsense to every new users. Price starts at $4.89/ month. One of the fastest growing hosting companies in the world. What makes Arvixe special is so long as you host on their server, you will have a free domain name for life. Price starts at $3.20/ month. What’s great about WordPress.org is no matter which web host you choose, you will have full control over your website, files and database. In other words, you don’t need to pay for any upgrades like on WordPress.com. For BlueHost users, 50GB is huge but once your site grows larger, an unlimited storage only starts at $15/ month. Themes are what control the whole look and feel of your website from the colours, layouts to the fonts. You can to pick a theme from a collection of over 350 free and paid themes (designed for personal blogs, professional websites and portfolios) while using WordPress.com. However, you are only allowed to modify the colors of these ready-made themes. For more customization like editing the fonts, and CSS you need to upgrade to a Premium plan at $99/ year. 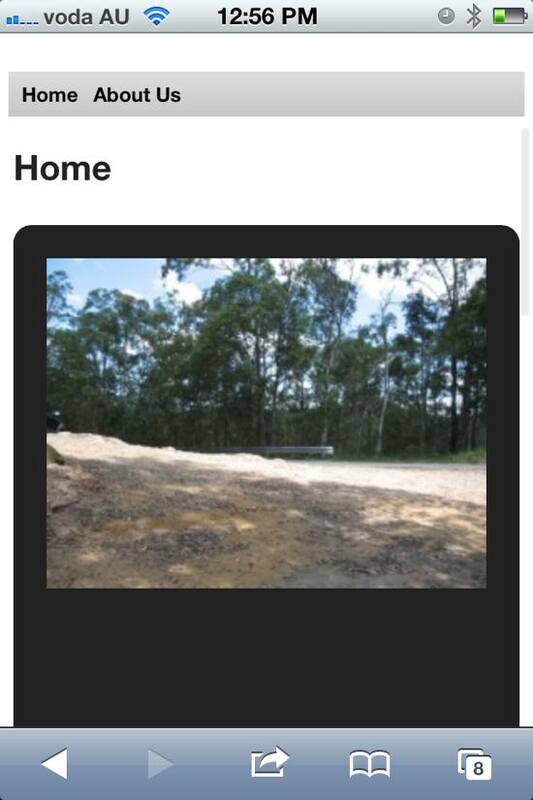 And this is as far as you can go with your website’s visual, you can’t touch the layout or access the mobile version. You can change the appearance of a theme, but not its HTML markup or PHP code. It’s notable because sometimes themes are not as responsive as they are supposed to be. For example, Sanj Sahayam showed the page below from WordPress.com is distorted on an iPhone 4. Your only option is to contact the support team and wait for them. WordPress.com also made headlines for abruptly replacing an old theme, Cutline for a new one back in 2010 with minimum notice. This caused users of the old theme to literally see their website transform in a blink of an eye without their consent. Design is often considered one of WordPress.com’s shortcomings, but it’s what makes WordPress.com unique and consistent to their mission of offering a hassle-free solution for users to fully focus on their content. We know practically nothing about CSS or web design or anything like that, so we chose WordPress.com, the easiest way to have a good-looking blog and for free. 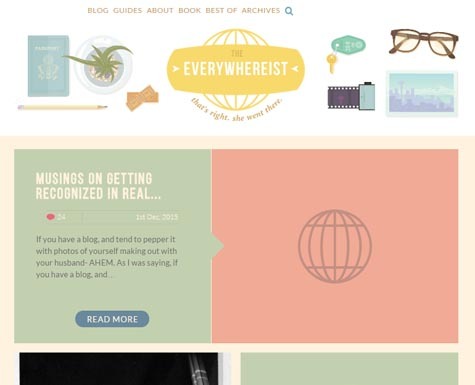 The layout of WordPress.com admin, and the numerous themes & clean layouts to choose from have made blogging easy for us. WordPress.org is much more flexible in terms of design and you are free to upload any theme you like or even create your own. In contrast to WordPress.com where it’s impossible to differentiate your website in a meaningful way with only 350 choices. 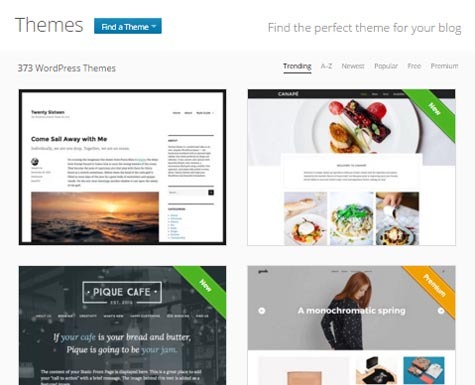 There is a large industry of beautiful hand-crafted themes for WordPress.org. 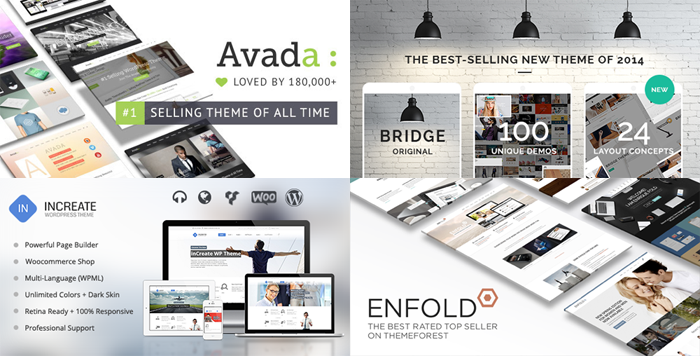 Here are some of the most popular themes from ThemeForest. You also have full access to all codes – including PHP and CSS. Which means characteristic designs like The Everywhereist are only achievable on WordPress.org. For businesses and bloggers who don’t want to look generic, only WordPress.org can transform your visions to life. WordPress.com is certainly easier to setup. And while this can appeal to the less technically inclined hobbyists or those who just look for some fun, once you decide to move forward with your website, you’re going to quickly run into limitations at WordPress.com. Known to be a very controlled environment, WordPress.com not only revises all submitted codes but also doesn’t allow any third-party plugins for security reasons. This is a huge setback where WordPress.com users are unable to fully experience the powerful features of WordPress. However if you ever feel the need to try out any plugins on your site like creating subscription forms, adding popups or even build a forum, your only choice is to upgrade to the high-end WordPress.com VIP hosting package which starts at $3,750/ month. This means you can’t use email subscription forms from services like Aweber and Mailchimp. Instead, you have to ask your readers to subscribe off-site, which will certainly hurt your opt-in rates. By submitting Content to Automattic for inclusion on your Website, you grant Automattic a world-wide, royalty-free, and non-exclusive license to reproduce, modify, adapt and publish the Content solely for the purpose of displaying, distributing and promoting your blog. There are five times more business sites powered by WordPress than news sites even though WordPress is primarily designed for blogging. This is because with WordPress, specifically WordPress.org, sky’s the limit. You are in full control of your files and data right when you start, the best part is you don’t even need to purchase any upgrades. Functionality made me choose .org over .com because I can do so much more branding-wise and blogging-wise with a .org blog. By going this route I can add income streams, widgets and all types of tailoring which help me to boost brand awareness. 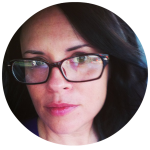 My blog is 1 stop shopping for my readers; better stock the store shelves with plenty of eye-catching, valuable, authentic content if I want them to buy. The ability to use powerful plugins, monetize your site through ads, and fully OWN your blog made me switch to WordPress. If you want to take blogging seriously or even build a SITE, not simply a blog, WordPress.org has all the tools necessary to get you there. At first, having FTP access to your site may not matter to you. But as you grow, you may want to have the ability to modify and move files around on your web host’s server. This is only ever achievable when you self host with WordPress.org. A killer feature only available on WordPress.org got to be the ability to add plugins to expand the core functionality of WordPress. By default, WordPress is designed to be lightweight to maximize flexibility then there are plugins that offer custom functions and features. You can choose from over 42k free and paid plugins available on WordPress.org’s directory for your specific needs. The possibilities are endless, there are very few limits you might face with WordPress.org when trying to accomplish what you’d like to do with your website. It’s important to note that plugins are made by various contributors and adding just about anything is risky. Not only can it slow your website down, it can also cause security issues. WPMU DEV explained it’s usually NOT too many plugins that cause problems on your website, but instead poorly coded ones. So check the plugin’s rating, reviews and author before you hit download. There is no doubt that WordPress.org offers the kind of control that WordPress.com doesn’t. If you are someone who seeks ultimate freedom, then WordPress.org is for you. Selling your products are fine and you can upgrade to a Business plan to setup eCommerce on WordPress.com, but you cannot run ads on your blog unless you apply for WordAds that allows users with moderate traffic to turn on ads while letting WordPress.com manage your ads and share your revenue with them. We have come to the point in our blogging lives, where we are ready to go pro, ready for this hobby to generate income, or at least pay for itself. WordPress.com does not allow ads, and for this reason, we are ineligible to join most of the blogger-ad networks we want to join. The most important perk of using WordPress.org is there are no limit on how you make money out of your website (general laws still applies, of course!). In other words, you are free to use any services from Adsense, even WordAds, to affiliate promotions while earning full profits from all income streams. You are not dependant on any third-parties like on WordPress.com. You can run any ads you’d like if you manage your own WordPress installation. What makes WordPress.org so easy to monetize is you can even turn your website into a full-blown eCommerce solution with plugins like WooCommerce and Shopify. For me it was all about owning my content. 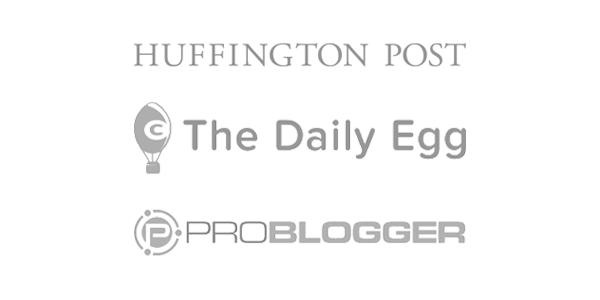 I had monetized a Blogger blog but WordPress friends warned me it was risky, in that things could get taken down, and that everyone blogging for a living used WordPress. It was a no brainer – just took a friend to set me straight. Now I’m proud to be a part of where WordPress is going. WordPress.com is obviously in short of control compared to WordPress.org, still, 37 million websites chose to host on their server. Not to mention some of the big brands like The New York Times, NBC Sports. Because WordPress.com offers arguably some of the highest quality, WordPress optimized hosting on the internet. They even goes as far as claiming even if a meteor were to hit all the WordPress.com servers and destroy them beyond repair, all of your data would still be safe and you could have your website online within a couple of days. Having a blog or website on WordPress.com is a bit like renting an apartment in a complex. You don’t have to worry about the pipes freezing in winter, you don’t have to mow the backyard, and you don’t have to fix the dishwasher if it breaks — all of that is your landlord’s job. What makes about WordPress.com unique is how it’s almost impossible for anyone to render their site unusable. If you don’t want to bother with the administrations, backups and security. WordPress.com is the safest place to go, there are a lot of preventions (like no third-party themes or plugins) in place to make sure that you don’t accidentally break or prevent it from working. Along with control, comes responsibility. At WordPress.org, your web host only takes care your site’s uptime. You can’t always rely on your web host to do backups for you. Some web host may claim to perform daily backups, but still make sure that you backup your website on your own frequently. Security – install the Jetpack plugin from Automatic, also WordPress.com’s provider, to prevent your website from brute force attacks and much more. Backup – Backups are VITAL to your website. If you don’t want to end up loosing everything at once, install a free plugin like UpdraftPlus or buy VaultPress ($99/ year) from WordPress.com. Update – Updating WordPress and plugins are only one click away and you will be notified whenever there are new versions (remember to backup before any changes). As a free member at WordPress.com, you have access to their support forum to ask questions and get help from other members or sometimes the support staffs. With Premium plan, you are allowed to send direct mails and live chat if you are on Business plan. Experts at WordPress.com are specialized on, well, WordPress so you can rest assured with CMS related questions. WordPress’s primary support website is WordPress.org where you can find WordPress Forums, an active online community of WordPress users. As well as WordPress Codex, the online manual for WordPress that are “created by and for the community”. Many cities around the world hosts monthly WordPress meetups where users at all experience levels come together to talk about how they’re using WordPress, share tips and tricks, and help each other with their websites. Huge WordPress communities also host yearly WordCamps with sessions on all things WordPress for three days. A must-go for all WordPress users! If either design, control or monetization matters to you, you will love the flexibility of WordPress.org. It’s certainely the most powerful WordPress yet, although you will need to think about some of the techie stuffs like maintenance and backups. On the other hand, WordPress.com comes in a close second – offering enough customizations for the hobbyists who simply want to express themselves without any distractions. In fact, out of 72,4M websites powered by WordPress, 50% self hosted on WordPress.org while the other opted for WordPress.com. There isn’t a BETTER choice but preferable ones, like vanilla and chocolate. How do you know which WordPress is for you? Simple – it depends the purpose of your site, the features you need and the cost you want to save. In other words, the real question is who are you? The hobbyist – If you fancy a hassle-free way to build a good-looking site to simply express yourself without worrying about the technical stuffs. Then WordPress.com is perfect for you. The serious blogger – If you crave full control over every aspect of your site, and maybe even earn a profit from it. Then you have to sign up at Bluehost.com because WordPress.org is made for you. The news agency – If you seek to outsource maintenance, so you can fully focus on polishing your content. WordPress.com is the most reliable choice. The entrepreneur – Whether it’s a landing page or your official website, you envision robust features and designs to further differentiate your brand. Then you’ll need a web host to uleash the full potential of WordPress.org. Ultimately, it’s YOU and how you want to present yourself and your brand. Now that you’ve found the WordPress for your next big thing, download the checklist below to build and optimize your site in less than 15 minutes. Pretty interesting breakdown. Most people don’t really understand the difference between wordpress.org and wordpress.com. You did a great job with infographic. Did you do the infographic yourself? Thanks! 🙂 And yes, I did this infographic mostly by myself except the graphics which I outsourced to some very talented artists. Hello, you seem like a very nice and knowledgeable person. It looks like you really know what you’re talking about. The amount of work and effort that you put in your articles is just staggering! I actually didn’t know that there are two of them. I really enjoyed reading this. Keep up the good work! Thanks Julius! I’m happy to help! Hmm Interesting, I never knew there was a difference between .com and .org! I have been using .com sites for a years now and to be completely honest, I feel like .org is better suited for people like me because I am the type of person that craves control. Which do you use for your site?It’s so easy to get through this page too because of the graphics.Thanks for the info! Exactly as you claimed, the two sites are there for very different reasons. Truth is, the person just needs to pay attention to the ending of each (.com and .org). One is the ORGanization of WordPress which is the actual community supporting the software. The other is the COMmercial aspect of WordPress which actually provides hosting of your blog/site with their own unique subdomain. Thank you for the comparison. This is great work by you! Just appreciate this hard work you put in creating this wonderful infographic with all the details in it. Simply superb! I have my websites on WordPress org but I’ll be honest here I wasn’t actually aware that there was a difference. So I found your post very interesting and I learned something new! Now that I know the difference I am glad I have the org one. It is much cheaper in my opinion and I have much more control over everything so it suits all my needs. I guess it was time for me to learn something new 🙂 Great comparison though. I have like an all in one system myself, hosting with WordPress. Glad I can help, Jorunn! Thank you for this excellent infographic about the difference between WordPress DOT com and WordPress DOT org. I witnessed first-hand how WordPress DOT com is nowhere near as good as WordPress DOT com when I saw a friend of mine sign up with a free account to see what it was like. There were nowhere near as many features as you get with a WordPress DOT org site which you host on your own hosting account. It’s much better to have the freedom to do whatever you want with your site without having to pay for additional upgrades. WordPress DOT com seems like a bit of a con to me. Thanks Marcus! If you crave freedom and the ability to monetize your site, WordPress.com is surely more inconvenient. Hello. A great explanatory article on WP. I myself have been working with WP for many years and have to admit that a lot of the time I’m at a loss how to work with it when building out my websites. I also have to say that I don’t always get the info I’m looking for in the forums so perhaps there are more people than is known about who are just like me and just struggle on and hope everything turns out OK. Another bugbear of mine are the themes. Why can’t they be of a sameness with regard to their basic functions instead of throwing in a little bit of hard to find code or particular function within the editor? I really liked this article though and it has answered a few questions for me. Hi Anh, thanks for the very easy-to-understand infographic comparison. I’ve always thought WordPress.com version has too many restrictions, but by looking through this, it’s not as bad as I thought… By paying $99 for enabling customised designs, I wouldn’t mind trying it. Not being able to remove WordPress branding completely might be an issue for some… If they abruptly change the theme without telling you it may be a little annoying. But the good reliable hosting service & support is essential. So I wouldn’t mind trying com by paying extra $99…? Thanks again for the great detailed review. Hi, you have made a very detailed comparison of the two wordpress website. I did not know there is so much difference in features of the two. By listing down side by side it makes it easier for the different type of users to choose. For myself, I used .org as I want a more dedicated hosting for my business website. Wesley, I’m happy to help! This has to be the most exhaustive comparison between WordPress org and WordPress com. I confuse them all the time, but really only use com. Thanks for going into the history of WordPress. I’ve often wondered how the system evolved. About five years ago, I went bald trying to learn to build a website with WordPress, but now it’s a breeze. Will you be adding new information as it goes on? When I first ventured out into blogging, I was so confused with WordPress.org and WordPress.com. I am having to change my first blog to a WordPress.org because I want to monetize my blog and I am so limited with WordPress.com. 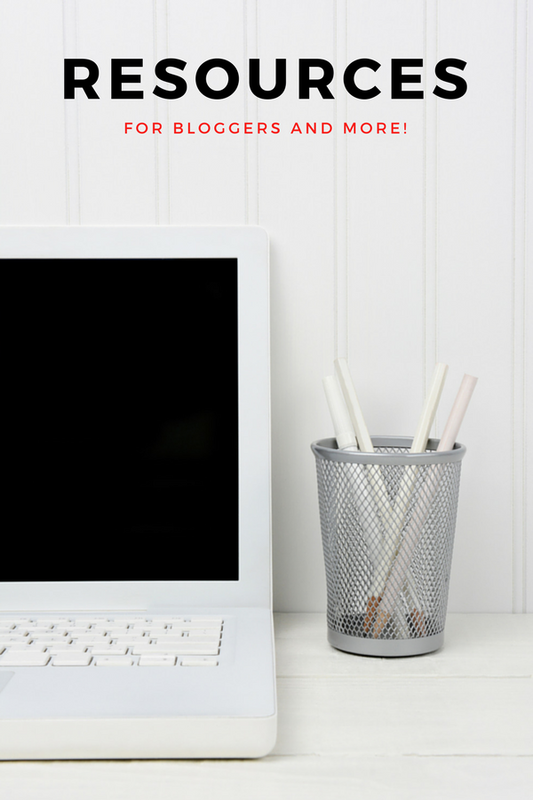 Your information about blogging in clear and concise! Anyone can come to your site and learn the techniques of blogging. Thank you for sharing this awesome information! I’m glad you learnt something new from the post, Zoey-Red! Love all the detail for your comparison. It makes it a lot easier to understand something when you make an accurately detailed list as you have done for WordPress.org versus WordPress.com review. I was unsure of what all the differences or commonalities where between these two. You have taken the time to clarify their uses and what you get for the money from the different packages they are offering. Great coverage in your post. I’m happy to help, Travis! This is a tricky topic, indeed, one that doesn’t have a lot of in-depth coverage elsewhere. That infographic and the following text fully and pretty much explains the differences between the two different flavours of WordPress, and which one is better for whom and why. I love blogging, and really like checking out blogger sites, blogger informational sites like your. Please do keep up the hard work, so guys like me can be better informed. Very interesting article that summarizes exactly what are each CMS for, features and uses. I will definitely stay with .org (i’m currently using it for all my websites). I would like to know in future posts about the difference between WP, Joomla and Drupal. I need to understand which is the best for each situation. This is such an awesome article! I love your infographics! You’ve made it really easy for me to understand this stuff. I’m not much of a techie but I’ve always wanted to create my own blog – but never really known how I would do that. I feel like you’ve really helped with that now and I might even go have a look at WordPress now. 🙂 Thanks! Aww, thanks Anne. I’m so glad I can help! Your website is stunning. Tons of information and cool design. You really have a talent for designing WordPress sites and using the widgets and plugins to include the details. Thank you for posting this article. I questioned the difference between each of the sites a few times, however, I never got an easy to understand explanation such as the one here. Great graphics, everything too, even though that may not be of utmost importance to some, I need pictures! LOL! I was shocked that there is a plugin that allows you to search for broken links! That’s awesome. WordPress is certainly a source to be reckoned with. This article was chocked full of information about the two different extensions of WordPress. I wasn’t aware that there were two of them. Your infographic really packed in the most important details. The information was easy to digest because your comparisons were side by side. This was a very detailed comparison review. It didn’t look like you left any stone un-turned. By the time I finished reading your article I knew just which one would suit me the best. Thanks for putting so much effort into creating information that was clear and and complete. Aww, thanks a lot Verna for making my day. I’m glad you found the WordPress for you, good luck on your endevours! Very nice looking site. I didn’t know that there was two different sites, I think the .org site is the better of the two. You can advertise the cost is much lower and the controls seem better. I do like how the .com site has automated updates. I don’t like how you can’t use plugins. It seems that .org suits better for me because I want to earn money by blogging and have a full control of my website. It’s not a problem if I need to learn new skills because that’s actually where I want to concentrate right now in my life. Your review was very thorough and probably answers every question people would have about the subject. The visuals are simple and easy to read. Having been a design student, I enjoyed reading them. Very informative article that clears up the difference between the two WordPress options. I actually didn’t know there were two different WordPress options. I’m still learning. This is an incredibly thorough article, and a really useful one. There is an obvious confusion about WP org and com. It is hard to remember which is which. I did not really know which is better for what, you describe this nicely with this info-graphic. I am a member of Wealthy Affiliate and they provide org-version for their platform. I can understand now why this is so. Many thanks indeed. Glad you learnt something new from the article, Jovo! Wow awesome site. I like the flow of everything and the infographics. Super informative. I didn’t even know there was a wordpress org! Because of the quality of this article I started looking at other ones in the site and they are equally informative. Keep up the good work and cranking out that content. Thank you for the very depth in an article about the differences between WordPress. org and WordPress. com. This was all new information to me. WordPress.org seems to be much similar to Wealthy Affiliate website for premium members. Even the price is not that different. What do you think? Which one is better, Wealthy Affiliate or WordPress.org? To be really honest with you, I never know there are two of these WordPress around. I really learned something from here. I am interested in setting up my own blogging site and do some serious marketing. In other words, I want to build a site that can make me a decent profit. I know it will take me time, but I don’t mind that all. I am leaning, towards the WordPress.org option.The only thing is that I need to be diligent with doing my own backups. What about spam and scammers? How are they prevented from interfering with my site. To avoid spams, you only need to install the Akismet plugin on WordPress.org. It actually comes with every WordPress install so you don’t have to worry about the spammers. What you’ve gotta put your mind into is backing up your site to prevent data loss. I would also like to add that WordPress has a very good Customer support: I had a big trouble with my slider, I was not able to adjust the pictures to the right size. When I contacted the support fly themes, the responded me almost instantly, and they provide me a special formula which helps you adjust pictures to the right size. Ooh my gosh! I am SO glad that I stumbled upon this article. I was super stressed out and so confused. I was suffering from paralysis by analysis, big time! Thank you so much for taking the time to present this in such an easy to understand way. ((and your graphics are super cute btw)) Now I know which option was best for me. I blog and I have a store so I needed one place that could handle it all but without breaking my budget – so now I know that WordPress.org is for me and I can rest my poor little brain and take a DEEP breath that this decision has been made and I can FINALLY get started. Whoo hoo! Thanks again! I am so happy to help, Melanie! I know it can be really confusing at first blush. 😉 Good luck with your blog! Very interesting post. I never knew that there was such as difference between the two sites. I always assumed that they were the same. One of the reasons why I love Wealthy Affiliate is that they offer free hosting for WordPress websites. The domain price seems to be comparable to what you would find on sites such as NameCheap. Great review of both WordPress sites! Thanks, Ian! I also host on WA and agree that it’s a breeze. I haven’t tried their site domain out thought. Wow, amazing article, I have to admit I had no idea there were two types of WordPress. When I heard about WordPress, I only thought there was one that was completely free. I have a friend who has a WordPress blogs, but he does it for pleasure, not as entrepreneur or something like that. So this means he’s probably using the .com one. What a joy to be here again to read yet another epic post. Indeed this is a confusing subject to many who uses wordPress pages. In fact I was not aware about most of the things you brought forward in this infographic and the content. Yes, to know in an in-depth knowledge about these wonderful platform one need to go through the history. Thanks for sharing those beginning of this great platform. I am so glad to know that some of the VIP clients of WP includes The New York Times, Time Magazine, CNN and TechCrunch. You did a wonderful job by removing all doubts/confusions about these two platforms by creating this post with lot of screenshots pics etc. Thanks for the option given to re-publish it on our pages. I just created a post in this regard with all due credit. So good to see you on the blog, Phil! I am happy to hear you learnt something new from the post, I tried my best to give readers the most comprehensive guide to these two WordPresses as I can, I’m glad it came through. And aww, thanks for all the love, and share. I’ll be dashing to your article now. I am an online entrepreneur so naturally, WordPress dot org is a better platform for me. But because it’s self-hosted, finding the right hosting service can be challenging until you try them out yourself. I started mine with SiteRubix and it wasn’t until I experienced a technical glitch that lock me out from my own website that prompted me to contact the support. Within 1 minute (no kidding), the support team got back to me, clean up the mess and I was able to log into my site again. My experience with SiteRubix hosting has been great. They are always quick to respond and the backup system is awesome. I lost all my styling file once and they helped me recovered everything. That literally ‘save my life’ you could say. Aww, glad to hear, Cathy. I also use SiteRubix as my host and can certainly relate to what you mentioned about the support! I tried to make a website a couple of years ago (maybe a little more actually) but I was lured into using the Webstarts software in order to do it. I found it easy and quite painless to build, but at the same time I never had the expertise to build it. Although I hear WordPress is the best platform out there for website development, I wanted to ask. Is it easy to navigate and use? I have heard that in some areas it can be quite complicated. I absolutely love WordPress and WordPress hosting although I must admit that it did take a long time for me to get used to the features and the functionality of WordPress as I usually use Blogger. As you point out WordPress.org is more revolutionary than .com and people who want to build a site should use this option as it offers better features. As an ex-Blogger user myself, I can relate to what your saying. WordPress is a huge leap as a CMS compared to blogger though and totally worth the time! Thanks for this comparison. This could really help someone who is getting into the blogging or ecommerce scene. When you made the two options side by side, it appears to be obvious that the paid hosting plan at .org is at far better value, especially when you consider the fact that you can make advertising money and basically operate your business for free! Aww, thanks Jared for the kind words.